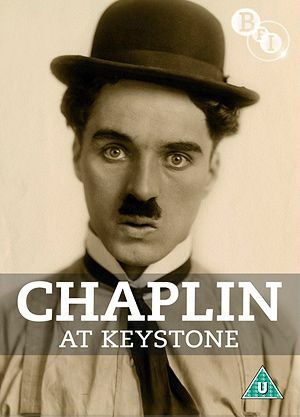 Before he became an international star and acclaimed filmmaker, Charlie Chaplin learned to make movies at Mack Sennett’s Keystone Film Company. Spotted in Fred Karno’s touring vaudeville troupe, Chaplin was snapped up by the silent comedy mogul in 1913 and during his meteoric rise to stardom made 35 films in a single year, half of which he also directed. Only 34 of them survive. Happily, they’re all here in this excellent four-disc set, reconstructed and restored from fragments found all over the world. Among them is the only recently rediscovered Keystone Cops comedy A Thief Catcher (1914), which marks Chaplin’s very first appearance on film. Aside from the sheer pleasure of watching these great slapstick films, the collection also provides a fascinating insight into Chaplin’s evolution as a filmmaker and how he developed his beloved ‘Tramp’ character. Extras: booklet with extensive notes, Charlie’s White Elephant (cartoon featuring Chaplin), restoration documentary, Keystone doc, stills gallery.